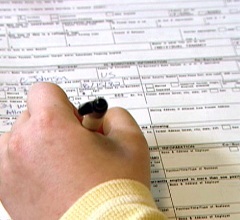 Do you read the fine print of all contracts, forms, etc, before you sign? If you said yes, I don’t believe you. I confess that before working on the issue of consumer protection, I did not read the fine print of forms that I filled out. It didn’t bother me to sign first and read later, if I felt like it. And, if I had concerns about the points made in the contract, I never thought much good would come from asking. That’s precisely because so many contacts and forms are not negotiable—either you sign and agree to all the clauses or you don’t and give up the product or service. It was only after I started working on client protection that I realized how much I am taking for granted the “rights” I enjoy as a consumer. The Six Principles of Client Protection that are the core of the Campaign for Client Protection in Microfinance are as applicable to me as they are the microfinance clients. And, one of the principles resonates more clearly now with me than before: privacy of data. Whoa. Hidden in that mess of legalese is whether I want to hand over my personal information to a database without clarification about the steps the company will use to protect my information, what the information may be used for, etc. On top of that, my signing this is permanent and irrevocable. I have a clear choice, if I don’t sign, I don’t get the insurance policy and keep my information safe, if I sign, I get the policy and may end up compromising my information. However, what if there were more to my choice than sign or not? For instance, what if I were a client who has dependents, low financial literacy and no time to complain? Moreover, the above statement explicitly says that the company can use my information for commercial purposes. What exactly does that mean? Will they sell my information to the highest bidder; will they use my information for marketing? The form does not give me, the client, an option to opt-out of any of the verbs in the sentence highlighted above. Do you think I should have one? Would you sign this form? See, I don’t know how the insurance company will use my information, and I think neither do they, since they are not explicitly mentioning it, but they don’t want to rule out any possibility. Fortunately, by law all financial institutions in Colombia must have a “Defensor del Cliente,” or ombudsman. I will give him or her a call with some questions and keep you posted.